Anthony R. Leone, II, Esq. Anthony established Leone Law, LLC with a commitment to Achieving Justice for his clients. Leone Law, LLC is dedicated to the civil justice system and protecting access to our courts. Anthony’s dedication to Achieving Justice has led to extensive involvement with the Rhode Island Association for Justice (RIAJ) and the American Association for Justice (AAJ). Anthony is a past President of RIAJ. He serves or has served AAJ in many capacities: AAJ Rhode Island state delegate, a member of AAJ’s Council of Presidents, AAJ’s Executive Committee, Trial Lawyer’s Care Committee, Membership Oversight Committee, and serves on AAJ’s Board of Governors. Before opening Leone Law, LLC, Anthony was an associate litigation attorney at one of Rhode Island’s foremost boutique litigation firms. He also has served as a law clerk in the Rhode Island Supreme Court Law Clerk Department where he worked closely with the trial judges throughout the state. Anthony’s experience gives him an excellent understanding of the Rhode Island judicial system. Anthony is committed to serving his clients and his community. He has been a leader on the Board of Directors of the Roger Williams Law Alumni Association, serving as its Vice President and Secretary, as well as a member of several committees. He has been an active member of the Roger Williams American Inn of Court, an organization dedicated to ethics, professionalism, and mentoring in the practice of law. Anthony is also a frequent adjunct lecturer at local colleges in their respective legal studies departments, and he is an adjunct instructor at Roger Williams Law School. Additionally, Anthony served on the Board of Directors of First Swing Rhode Island, which assisted handicapped and disabled persons play golf. Anthony led RIAJ as the first trial lawyer’s association in the country to join with EndDD.org and the Casey Feldman Foundation to teach high school students about the dangers of distracted driving. Anthony enjoys regularly participating in RIAJ’s bike helmet program at local elementary schools. Anthony is a graduate of the Roger Williams University School of Law in Bristol, Rhode Island. He received his Bachelor of Arts in political science from Villanova University and a Master of Liberal Arts from Harvard University Extension School. As published in Rhode Island Monthly, Super Lawyers has regularly recognized Anthony. RIAJ also recognized Anthony as its member of the month. Martindale-Hubbell, the premiere rating service for lawyers throughout the nation recognizes Anthony as an AV rated attorney. 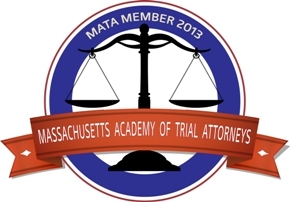 This is the highest attorney rating and is based on peer evaluation of an attorney’s ability. When not practicing law, Anthony enjoys his time with his family and friends. He loves music, particularly jazz, and playing golf.